We covered a few of my oddities last week and then it occurred to me that some things really are genetic. My girls love their Schleich animals so much that every time we pass our favorite Schleich toy store we usually leave with a new friend, or two. I don't mind so much, the animals are loved to pieces and very durable. The other day the girls were playing so nicely with them in the living room and then it became unnervingly quiet. 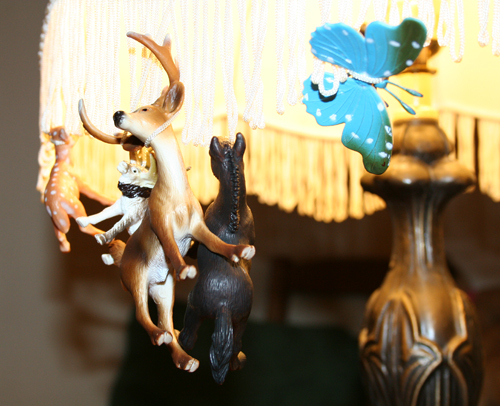 When I went to check on them I found them gathered around the coffee table entwining the animals in the lamp fringe.